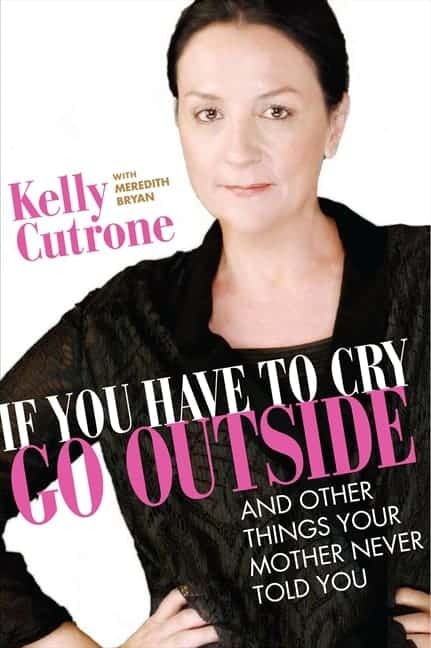 I knew who Kelly Cutrone was from watching The Hills on TV. My first impression of her was that she was intimidating and a little scary and I remember thinking I would not want to work for her. However, after reading her book, my opinion has totally changed of Kelly and I see her in a new light. In fact, I am now a big fan of hers and I find her honest and say it like it is attitude very refreshing. I thoroughly enjoyed this book which is part Kelly’s memoir and part self-help book. I loved reading about Kelly’s background and all the exciting things she has done. I am also fascinated by New York City so I really liked learning about what it was like to actually live there. Kelly is an inspiration. She has been through so much and rose above all obstacles that you would think you could never recover from. She is one strong woman that I greatly admire! The book is also very funny too. I love her sense of humour and I can really see what a good soul she has too. She has some very good advice to follow to help others find their path in life. Much of it resonated deep within me and I know that she speaks the truth. I know I need to listen to my inner voice of wisdom. It’s never lead me astray before and when I don’t listen and follow my gut, I usually end up kicking myself! This book is a must-read and likely one that I would read again! Want a sneak peek? Browse inside. You were on my Trailing Tuesdays set of 5 to follow, but I’m already following you! I love Kelly Cutrone, so this book is sure to be a page turner. I didn’t any of her Bravo show. Thanks for the follow from Tuesday Tag-Along, following you back, and put your button on my site. .-= Evelyn´s last blog ..Tag Your It! =-. You have an award waiting for you! .-= shirley rempel´s last blog ..An Award! =-. My Mom did tell me to go cry outside. She also told me to run with scissors, so maybe not such good advice? .-= Dr. Heckle´s last blog ..Yee Doggies! Craigslist Heckle =-. This was a great review. I want to read this book! .-= Cheryl – The books I read´s last blog ..Teaser Tuesdays, May 11 =-.